Ebola is taking a heavy toll on the economies of the three West African nations that are at the centre of the outbreak – Sierra Leone, Liberia and Guinea. Tens of billions of dollars are expected to be wiped off the GDP growth forecasts for these countries by the end of April 2015. According to a recently published report, the World Bank says that if the virus continues to surge in the three worst-affected countries and spreads to neighbouring countries, the two-year regional financial impact could reach $32.6 billion by the end of 2015. 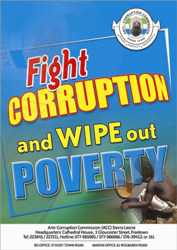 There are serious concerns about the impact this economic downturn is likely to have on levels of poverty, employment, health, education, political stability and the overall capability of the respective governments in running the affairs of state. But with rampant corruption in these countries, questions are also being asked about the effectiveness of such massive spending. Will the money get to businesses that need help, or will it go into the pockets of a few corrupt government officials who are now making a lot of money out of the Ebola outbreak? There are stormy clouds ahead. Since the Ebola outbreak began early this year, both the World Bank and the African Development Bank have provided over $200 million in funding support for the three governments, to help stabilise public sector budgets and spending on essential public services, including payment of public sector salaries. 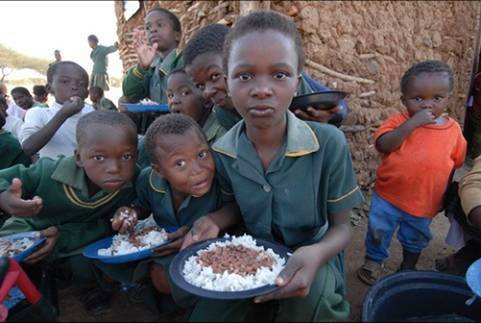 The World Food Programme (WFP) is at the forefront of stabilising food supply and market prices in the three countries. Its regular shipment and distribution of foods to affected communities is a vital lifeline for millions of households, who otherwise would face starvation, as farmers are driven away by Ebola from the fields. Although basic food prices have stabilised, but with falling value of currencies – especially in Sierra Leone, prices of imported goods are rising at an alarming rate. 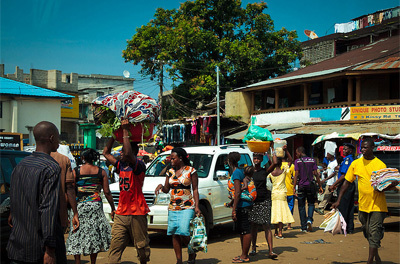 International Financing Corporation (IFC) – the investments arm of the World Bank Group, has announced a $450 million financing package to support trade, investment, and employment in Guinea, Liberia and Sierra Leone. It says that $75 million will be used in support of the Ebola Emergency Liquidity Facility, which will help fund critical imports for Ebola-affected countries. The finance will initially go to six existing IFC client banks in the Sierra Leone, Liberia and Guinea, but may also be extended to other non-IFC client banks. This financing facility will support the import of basic goods, including energy, food and agricultural commodities, and other manufactured goods. IFC says that this private sector financing initiative will include $250 million in rapid response projects, though it did not specify which projects fall under this category and the qualification criteria. $200 million investment is also planned by IFC to support post-epidemic economic recovery, in line with the World Bank Group’s broad effort to provide immediate assistance now, and prepare for post Ebola economic recovery in the countries that are most affected by the crisis. “The fear swirling around Ebola has the potential to do long-term harm to businesses globally, and especially in the Ebola-affected countries. 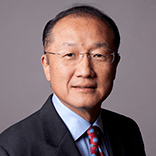 Our private sector arm—IFC—will find ways to help boost trade and investment in West Africa, which will be essential to ensure that private companies continue to operate and sustain employment under difficult circumstances,” says Jim Yong Kim. IFC says that it is also supporting a rapid response program, which began in October, targeting 800 small and medium enterprises in Guinea, Liberia, and Sierra Leone to help ensure business continuity during the crisis. The program will provide medical and hygiene supplies; related literature; and training on preventive measures. Sierra Leone and Liberia will also be supported by the Netherlands Cordaid project, through a $4.6 million additional financing of the IFC’s West Africa Venture Fund, focusing on small and medium enterprises. The World Bank Group says that it is mobilizing nearly $1 billion for the three countries hardest hit by the Ebola crisis, including $400 million announced in August and September 2014 for the emergency response, and another $100 million announced in October 2014 to help speed up the deployment of foreign health workers to Sierra Leone, Liberia and Guinea. According to the World Bank, $117 million of the previously announced $500 million has already been disbursed. The World Bank believes that, the close partnership and coordination arrangements with the United Nations and other international and country partners, will enable them to assist the affected countries in treating the sick, and prove essential food and water to Ebola-affected households. It says that they will help Sierra Leone, Liberia and Guinea cope with the economic and social impact of the crisis, as well as work with them to start improving their public health systems so as to build up resilience and preparedness for potential future outbreaks. But with already weak and hard pressed governance structures in the three countries, analysts say that accountability and transparency in the use of such large sums of money is a big problem. Corruption and malfeasance now goes unchecked, as Ebola takes centre stage of public discourse in Sierra Leone, Liberia and Guinea. And the fact remains that, whilst Ebola may be taking the lives of thousands of poor people, it is now poised to making several public officials very rich.